I felt that it was wrong of him to have accepted President Buhariâ€™s summons to go to the Aso Rock Presidential Villa with Benue elders only to be talked down to by the President who had no harsh words for his Fulani herdsmen kinsmen and who condescendingly told Ortom and his elders to â€œaccommodate your countrymenâ€ (never mind that he the President once claimed that killer Fulani herdsmen are foreigners). My disappointment with Ortom stemmed from the fact that he allowed himself to be summoned by a President who did not have the common decency to first of all pay a condolence visit to the state where killers who share affinity with him had just killed his countrymen. 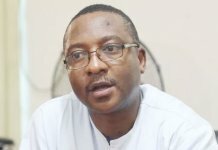 I felt that Governor Ortom should have known that the President had no constitutional powers to summon him and that the President, as the Commander-in-Chief of the armed forces, should have sent the army to go after the herdsmen rather than the police who are ill-equipped to deal with the herdsmen crisis. However, whatever disappointment I had in Governor Ortom has transformed into admiration with the way he has acquired himself in the last couple of weeks. 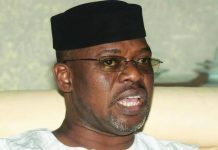 He has called out the President and put him on the spot by revealing that he wrote to the President and his vice to warn them of an impending attack but they did nothing even after Prof. Iyorwuese Hagher had written an open letter to the President and given him advanced warnings of the attack that almost seem prophetic after the fact. But my admiration for Governor Ortom jumped to new levels after he refused to go to Lafia in Nasarawa State to receive President Buhari, who was, incredibly, on a tour of Nasarawa to open a â€˜special schoolâ€™, while refusing to pay a condolence visit to Benue which shares a border with Nasarawa. I particularly loved Ortomâ€™s answer when he was asked why he did not go to receive the President in Lafia. With that statement, Ortom earned my respect! And shame on a President who has time to go on tour, but had no time to go on condolence. I would have been so disappointed in Ortom had he honoured the shameless invitation from his colleague in Nasarawa. When Buhariâ€™s son, Yusuf, was in hospital, did Buhari go to a party? No! He went straight to see his son in hospital. Now, Buhari expects Governor Ortom to leave Benue and join him in Lafia to celebrate while Benue people are mourning! As Buhari loves Yusuf, so Ortom loves Benue people! Sadly, it took the recent killer Fulani herdsmen killings in Benue to reset Ortomâ€™s head to factory setting. His refusal to welcome and receive Buhari in Lafia is commendable! How can Benue be mourning and Ortom will join Buhari to celebrate in Lafia? In all of this, let me say that I commend Governors Ayo Fayose of Ekiti State and Nyesom Wike of Rivers State for showing leadership by visiting the Government and people of Benue to condole with them in their time of need. 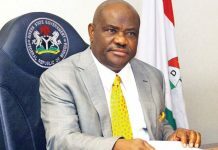 I urge President Buhari to find time to go learn the art of statesmanship from either Wike or Fayose to his shame! Unfortunately, the reaction of the All Progressives Congress to these visits has been so predictable. The APC released a statement accusing Governor Wike of playing politics with the Benue killings by visiting Benue and donating money to help the victims! If helping victims of mass murder is politics, then that is the type of politics Nigeria needs! We do not need Buhariâ€™s politics of ignoring victims! The actions of the President since the pogrom began in Benue State have been so partisan in support of Fulani herdsmen and he is doing very little to hide his bias. For instance, I strongly condemn the killings of 7 Fulani in Gboko. But is it not telling that President Buhari, who refused to send soldiers to Benue after the killings of 73 Benue indigenes, sent soldiers to Gboko within hours of the killings of the Fulani? President Buhari said the Benue killings are a â€˜police matterâ€™ two weeks ago. Now that his kinsmen have been killed in Gboko, police matter has changed to â€˜army arrangementâ€™. Should Fulani lives be more important than Benue lives? And the Inspector General of Police, Ibrahim Idris Kpotun, has taken his cue from the President and is similarly showing heavy bias in favour of the Fulani to the extent of calling what can only be described as unprovoked attacks by killer Fulani herdsmen â€˜communal clashesâ€™! The worst of all, as far as the Nigerian Police Force is concerned, is that President Buhari has so politicized the police that they now have the guts to call a serving Governor â€œfailed and drowningâ€™! Between Ortom and Buhari, who failed? Who is drowning? Has Ortomâ€™s wife, daughter, boss and colleague publicly condemned him like has happened with Buhari? Did Ortom turn the third-fastest growing economy in the world into an economic basket case that led to recession? Did Ortom go to court to protect Abdulrasheed Maina, the biggest thief ever in Nigeriaâ€™s civil service? Did Ortom appoint dead people into office? 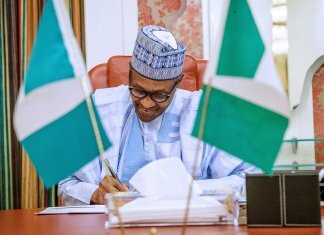 Jimoh Moshood, the useless police spokesman who made that impudent statement should redirect his words to their rightful owner – Muhammadu Buhari! And the Policeâ€™s ineptitude does not stop there. Last week, former President Ibrahim Babangida joined ex-President Obasanjo in the letter writing squad and wrote a letter describing President Buhari as a monumental failure and urging him not to seek re-election for the sake of the nation. 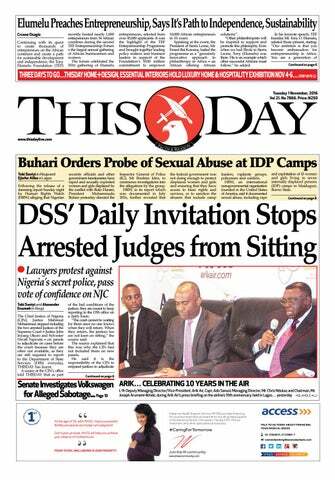 Now, there was some confusion as a counter statement was released, but this was in turn quickly countered by the former President who took the unusual step of speaking to THISDAY newspaper to confirm the authenticity of the statement issued by Kassim Afegbua. All well and good, except that the police went ahead to declare Kassim Afegbua wanted. On what grounds? If the Inspector General of Police declared President Babangidaâ€™s spokesman, Kassim Afegbua, wanted for releasing IBBâ€™s statement to the press, shouldnâ€™t he also declare President Olusegun Obasanjo wanted for releasing his own statement to the press by himself without the aid of a spokesman? Incompetent police and government. They canâ€™t declare herdsmen wanted, but can declare spokesmen wanted! 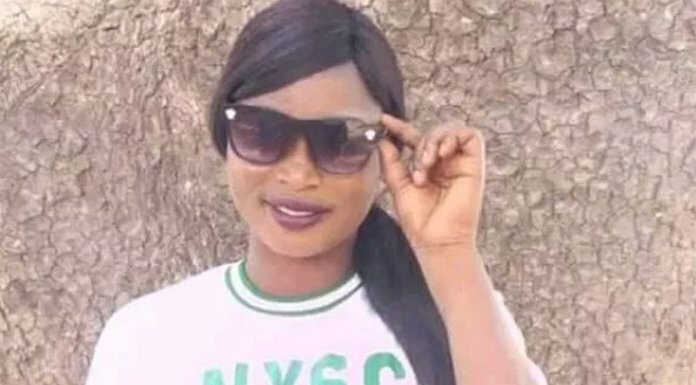 Let me sound a note of warning to the drowning President Buhari: We must not hear that killer Fulani herdsmen attacked President Babangida or his family or that EFCC suddenly discovered $10 million in IBBâ€™s bedroom. Listen to his advice and pack your recession with you to Daura! Major General Buhari failed as military dictator between 1983-85. Since then he never went back to school. He wrote no book. He did not improve himself in anyway. He spent 30 years nursing a grudge against those, like Dasuki and Babangida, who overthrew him. So how could Nigerians have expected positive change from him? In 2015, Buhari promised to hit the ground running. Instead, he hit the ground blaming. He blamed past governments. He blamed Nigerians. He blamed friends and enemies. When he ran out of human beings to blame, he faced animals, and blamed rats for chasing him out of his office. So, since many of those promoting Buhariâ€™s second term, like Asiwaju Bola Ahmed Tinubu and Nasir El-Rufai, have young, active wives, do permit me to use an analogy they will understand. If a man could not satisfy his wife when he was young, is it now that he is old that he will satisfy her in the other room? Let me conclude by saying that both Bola Tinubu and Nasir El-Rufai know that Muhammadu Buhari cannot deliver, nor could he ever have been in a position to deliver. Both of them know that he lacks the intellect and temperament of a true leader. Both of them have said as much about Buhari in the past. So why did they support him in 2015? Because they saw him as an easy route to power. But alas, as things stand today, Buhari may end up being their easy route to destruction. Learn from nature, instead of wasting time chasing women. A tree doesnâ€™t chase birds. It simply produces fruit and birds become attracted to it. Likewise, if you as a man will just produce the fruit of success, birds will be attracted to you. And do note that nothing affects your life as the wife you marry. Before you marry a woman, put her through the stress test. Create artificial stress by pretending to need money badly and see her response. Only a fool marries an untested woman and vice versa #RenosNuggets.